Cleanpro is the opportunity of a lifetime. If you've been searching for a carpet cleaning franchise or carpet cleaning opportunity, we have a unique and exclusive opportunity for anyone looking to get into the carpet cleaning business. 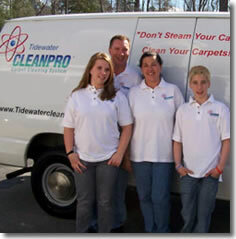 Cleanpro is the carpet cleaning authority when it comes to business opportunities in the carpet cleaning industry. So called "dry" carpet cleaning, steam cleaning (hot water extraction) and all other carpet cleaning methods can't even compete to what Cleanpro has to offer. The Cleanpro carpet cleaning system was designed to overcome the familiar problems of over wetting and residue that are associated with steam cleaning, whether you're using truck mount or portable extraction. Solid business opportunities are few and far between these days, and franchise opportunities are a dime a dozen. Compared to other carpet cleaning franchises and carpet cleaning opportunities, Cleanpro simply can't be beat. When it comes to carpet cleaning, Cleanpro has an exclusive carpet cleaning opportunity. Choosing the right business can be a difficult decision... look no further! With the Cleanpro Carpet Cleaning System, your small business, which can be a home-based business, can grow to its full potential within the carpet cleaning industry. The Cleanpro Opportunity may be the one you've been looking for. From our exclusive carpet cleaning products, extensive training, a protected market territory, ongoing support, and the use of our exclusive system, your opportunity for success can become a reality. Dries in about an hour. Absolutely No Residue from our process. Utilizes a one of a kind technology called an Ion Exchange. Has never been duplicated. Check out our endorsements. We have the best credibility in the industry. Praised by the Wall Street Journa. $50,000 Challenge to all Competitors. No Sales or Business Experience Required. Cleanpro by far exceeds any carpet cleaning expectations in the carpet cleaning industry. We have a technology called an Ion Exchange, which has never been duplicated, ever. Our credibility is measured by who endorses our company, like The Wall Street Journal, Best Western International, The Ups Stores, and many others. 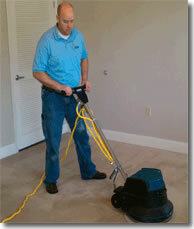 Our carpet cleaning system dries in about an hour, is eco-friendly, and leaves absolutely no residue. Our credibility is everything. We've earned it. We promise you that if you recommend our opportunity to your clients, they will be impressed. We have a unique opportunity in an industry that is absolutely huge. Our industry is recession proof. Anyone with a high school education can run this business from their home. At Cleanpro we take pride in helping every one of our Cleanpro professionals from all over the United States to help achieve their goals. We provide exclusive ongoing support, training and business services so you can have the confidence you are not alone with your small business. Here at Cleanpro you're family! Cleanpro is a very unique business in that it is a carpet cleaning business that is 'eco-friendly', utilizes a scientific process that cleans carpets in a way that no one has been able to duplicate. Our process works with one of a kind technology called an Ion Exchange process. It dries in about 1-2 hours, leaves absolutely no residue, and best of all, carpets last 2-3 times longer when using our process. The results are undisputedly the most amazing results in the industry. We are looking for Independent owners who are seeking a great business opportunity in a recession proof industry. A person who can build relationships,and has a strong motivation to succeed. You must have $30,000 in liquid capital.